This wasp has black head and thorax. The front four legs are yellow and hindlegs are orange brown with yellow tips. The body is orange-brown. 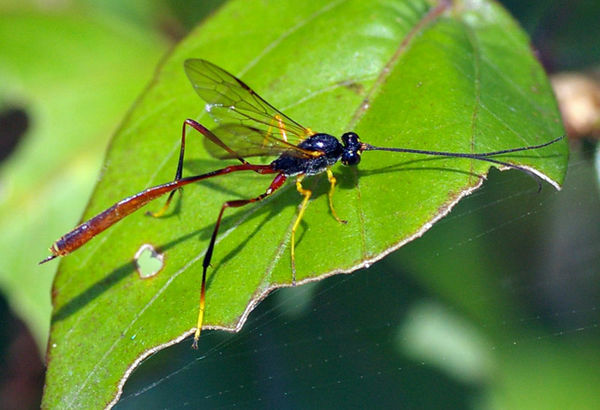 Females have a short ovipositor. The antennae are nearly as long as the body. The size is 20mm body length. They can be seen in suburban bushland, the adults feed on nectar.